Uglyworld #257 - Jeero Orders Some Fries, originally uploaded by www.bazpics.com. 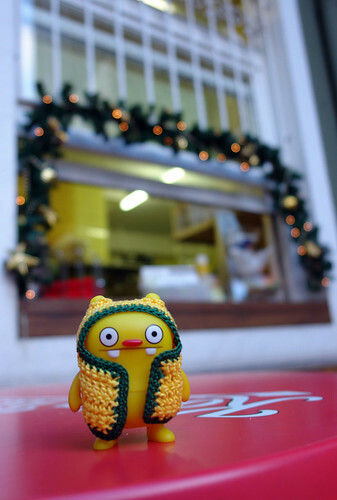 Jeero was starting to get hungry as we walked around Monschau and decided that he wasn't going to move a single step further unless we recharged his batteries (by means of a large tray of fries, which are known as "fritten" in Germany). He ordered a super-duper-humungously huge tray all for himself, topped with a massive dollop of Tomato Ketchup (he verified it was Heinz before ordering it), and then set about demolishing as many of the chips as he could before finally realising there were too many for him at which point he opened them up to the rest of us.